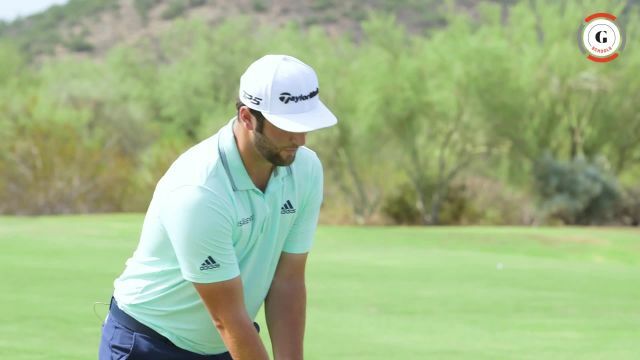 Just six tournaments into his first full season on the PGA Tour in 2017, then-22-year-old Jon Rahm introduced himself as one of the game’s elite players by winning the Farmers Insurance Open at Torrey Pines. And he did it in dramatic fashion. Rahm slaughtered his tee shot on the par-5 18th hole on Sunday—a drive he says is one of his best ever—to set up a walk-off eagle and the win. The Spanish-born player has gone on to crack the top 10 in the World Golf Ranking, and his fast rise comes, in part, because he drives the ball so well. In this 24-minute, mic’d-up video session, Rahm goes into detail about his approach to smashing tee shots, including basic technique, working the ball, swing thoughts, and the data about his swing that matters most to him. Golf Digest Senior Editor Ron Kaspriske talks with Rahm throughout the session, which includes plenty of driving advice for recreational golfers. Best of all, you get to watch Jon hit a ton of drives, from high fades to low draws. He even shows us his all-out swing, which rockets the ball off the face at more than 180 miles an hour. Don’t try that at home, but do check out this fascinating dialogue on tour-level tee shots.